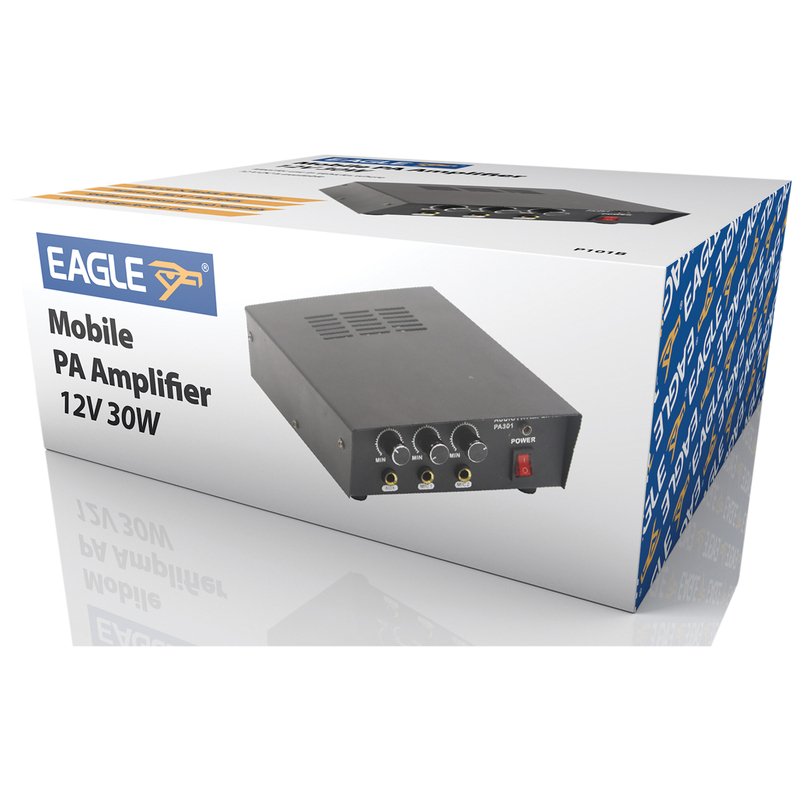 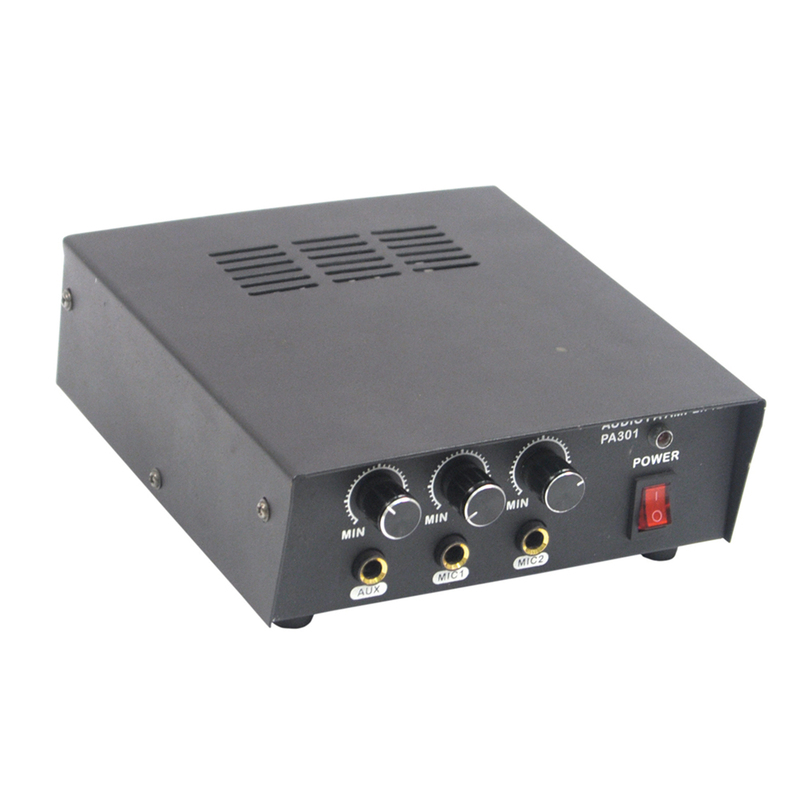 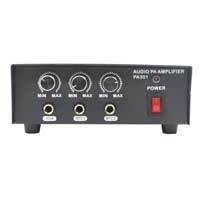 This Eagle mobile and set top PA Amplifier has a compact design, features 2 microphone and 1 aux input. 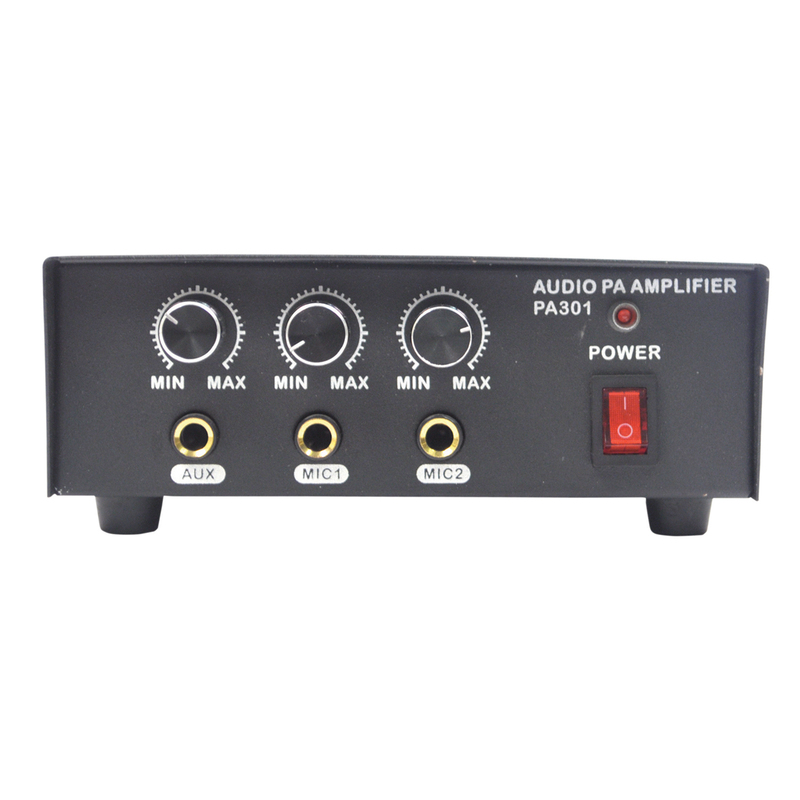 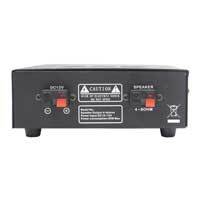 Working from 12V DC this Amp gives out 30 W of power into 4 ohms, the 2 microphone and 1 Aux inputs have separate volume controls. 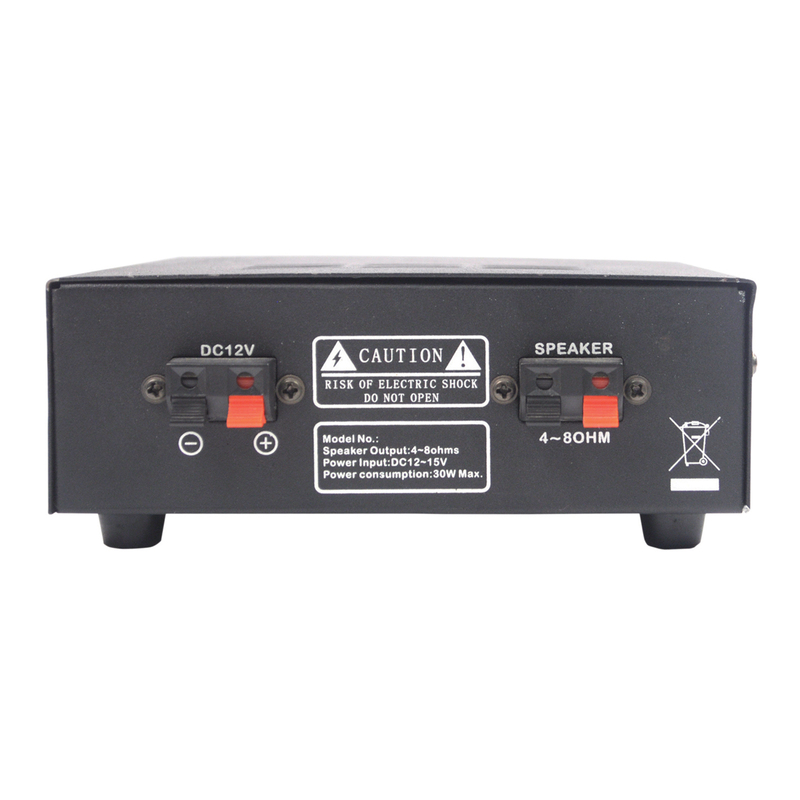 This small design is ideal for use in cars, vans, boat anywhere 12V DC is available.